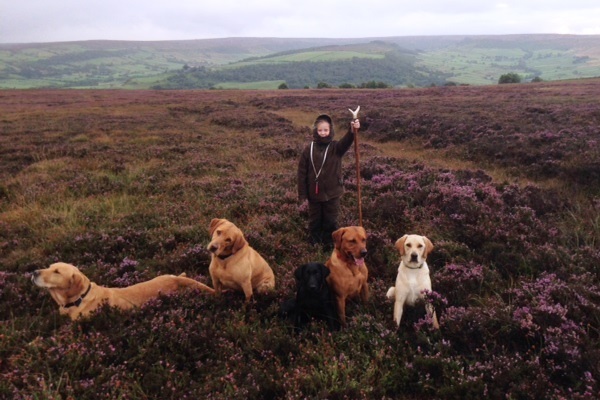 Thanks to new stockist, North Yorkshire based Vet, Phil Dyson for sending this photo of daughter Tallulah out among the heather on the Yorkshire Moors where she was putting his dogs through their paces. 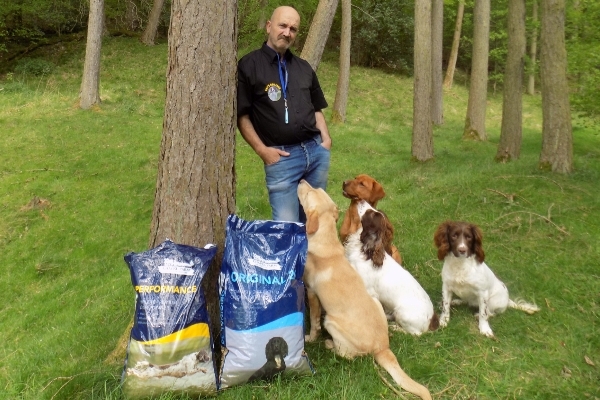 Phil had been using Chapel Farm to feed his dogs, was impressed with the results he was seeing and decided to become a stockist. His first delivery has just arrived. Congratulations to Chapel Farm sponsored Trainer Mr Jon Bailey who handled Fizz, owned by Mrs Jan Menzies, to first place in her first ever Trial. This was a Novice Cocker event held at Hy Fly, Pilling Lane, by the North Western Counties Field Trial Association on the 3rd September. 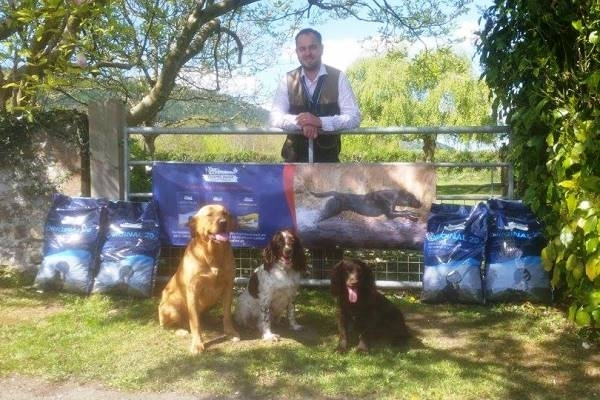 An excellent result and following on from Jon’s win at the English Springer Spaniel Championships last year it is a great way to start the competition season, well done Jon and Fizz and our best wishes for future competitions. 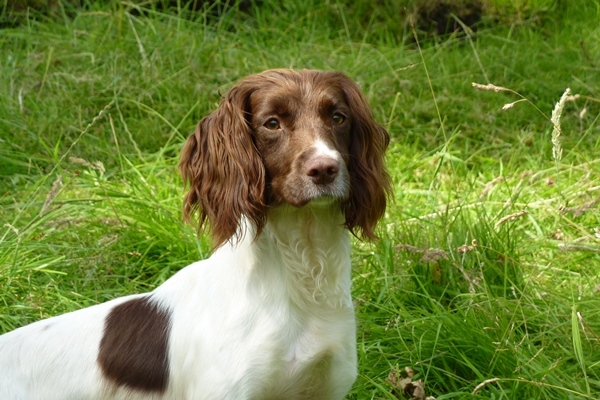 David Lisett and Chapel Farm youngster Buccleuch Lucy “Nora” competed on Friday the 14th of August in the Novice Spaniel Trial organised by The Yorkshire Gundog Club held at Dallowgill Estate by kind permission of Air Commodore S.N Bostock. The Steward of the beat was Mr B Watson and Judges were Mr M Whitehouse and Mr C Oakley. 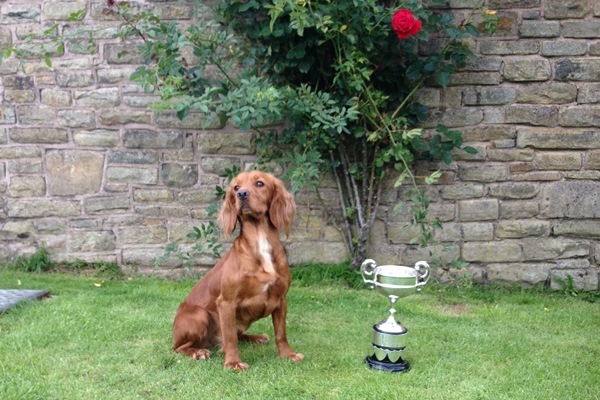 We are delighted to say that Buccleuch Lucy “Nora” performed very well and was lucky enough to be awarded first place. Chapel Farm was pleased to sponsor a Charity Test Day organised by stockists Norman and Sandra Onens of Kestrelway Gundogs. An excellent time was enjoyed by all and due to the generosity of those in attendance; £933 was raised for the Brain Tumour Trust. Thanks to Sandra for the update and congratulations to Deana and John and all others who took part in this most worthwhile event. Well done to all who competed at Scone Game Fair over the weekend, but special congratulations to Queensberry Estate Head Keeper, Rab Clark’s son Fraser for the team event at Scone on Sunday where he ran his Labrador Buccleuch Vinnie “Drummer” to a score of 60/60, a fantastic performance. Top marks for effort to his team partners Chapel Kennel-man Scott who competed with cocker Dibley who found the jumps rather tall but she showed great determination by getting there. 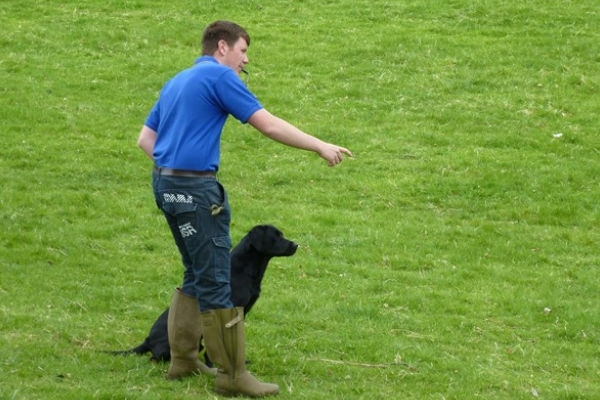 Photo shows Fraser and Drummer giving a demonstration recently at Chapel Kennels. 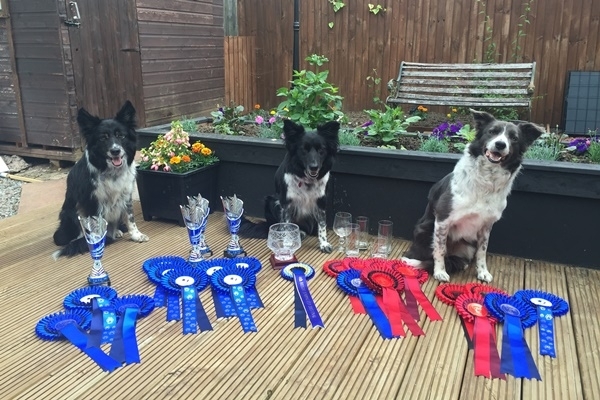 Thanks to Chapel Farm Sponsored Agility Hander, Donna Kerse for her latest update and photos. In the last 2 weeks team “Try n Fly” have amassed a fantastic 12 wins and 7 second places. Ace excelled with 8 firsts and 3 seconds. 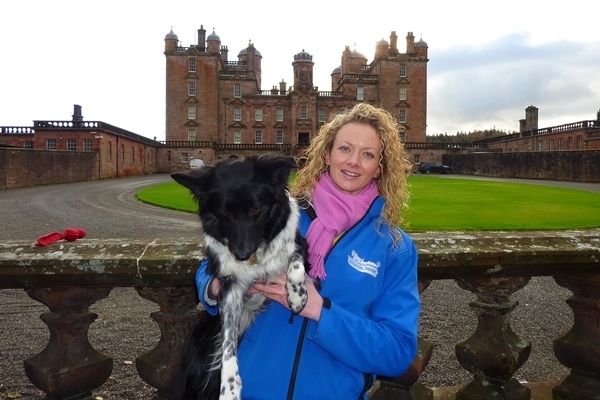 The weekend just past saw her win the Scottish Agility Dog of the Year Qualifier as well as Jumping and Team competition held at Kelso. As Donna says “Wee girl is on fire”. Well done Donna and Team and best wishes this weekend for all future competitions. Welcome to newest member of the Chapel Farm team, stockist Graham Humphreys based in Llandyssil, Powys who sent us this photo and short profile. 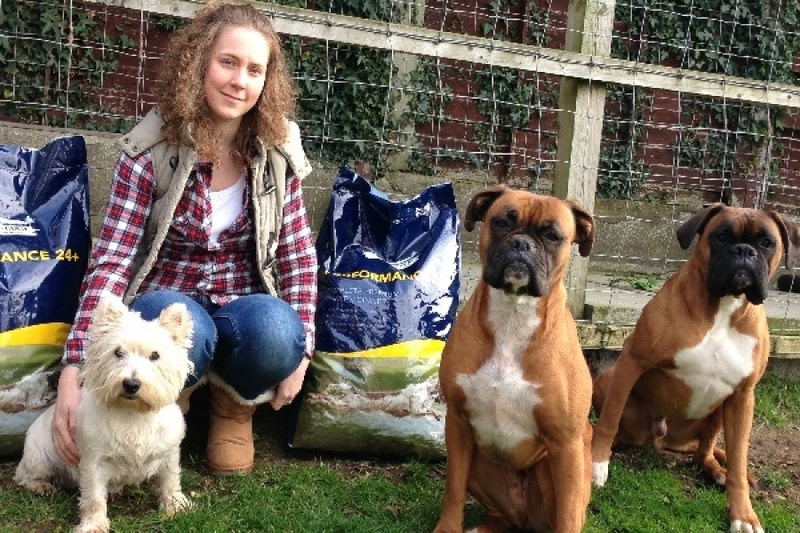 “Since the age of 10 when I helped to train my first pet, a Terrier – I have had a keen interest in working dogs. In the 43 years since then I have owned and trained over 30 dogs, trying to get the perfect team for picking up at the Shoots that I attend. 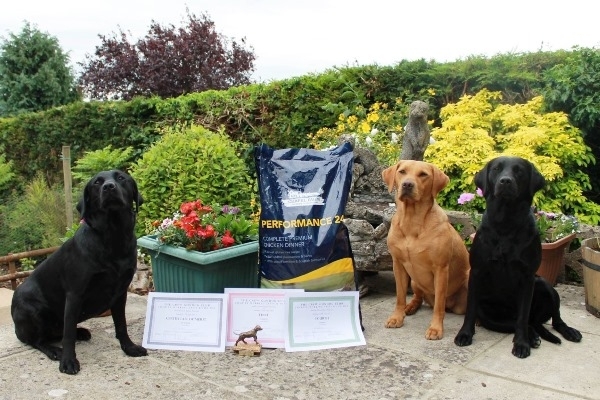 Donna Kerse took the time this morning this morning to e-mail Chapel Farm to thank us for the sponsorship we provide by supplying food for her competition dogs and for providing the energy they need to compete at the highest level. This was very good of her when you consider that she is rather busy as she is about to compete with “Ace” in the World Agility Open Championships in the Netherlands which start today. Qualification in itself was a fabulous achievement and on behalf of all at Chapel Farm, our best wishes and good luck to Donna and Ace. We hope you enjoy every minute. Whilst we receive many enquiries from Northern Ireland it has not been practical for us to deliver website orders there due to high delivery costs. Lyn and Neil Aicken, Northern Ireland, Newtownards based Chapel Farm Stockists have also received many enquiries from those who stay too far away to collect food in person. Following some research they have created and just launched the website www.dogfoodni.co.uk and are now able to deliver Chapel Farm Dog Food to the whole of Northern Ireland next working day for a remarkably low cost which will be of great benefit to those who live some distance from a stockist. Well worth a look and our best wishes to Lyn and Neil for success with this new venture. A warm welcome to a new member of the Chapel Farm Team, Tom Jones based in Llanellen, Monmouthshire where a recent family move has given space for Tom to become a stockist. Many will recognise Tom from his time here on Queensberry Estates where he made many friends. Tom has been a user of Chapel Farm since its inception and has always been full of praise for the benefits it has for his dogs.